Galileo has grown to become Europe’s single largest satellite constellation, built up over 10 launches over the course of this decade. The first of seven double-satellite Soyuz launches took place in 2011, with three sets of four-satellite Ariane-5 launches during the last three years. The latest quartet of Galileo satellites were launched together by Ariane 5 on July 25, bringing the number of satellites in orbit to 26. Once safely in orbit the satellites entered their in-orbit test commissioning, overseen by a combination of facilities across Europe. 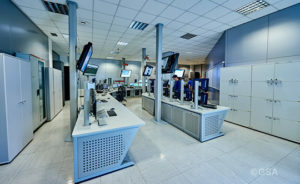 The Launch and Early Operations Phase team of France’s CNES space agency in Toulouse worked together with the two Galileo control centres in Fucino, Italy, and Oberpfaffenhofen, Germany and ESA’s Redu centre in Belgium. 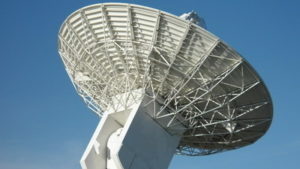 Redu’s 20-m antenna played an important part during in-orbit testing, allowing for high-resolution monitoring of the L-band navigation signal coming from each satellite. 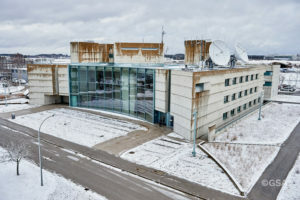 The two control centres participated by testing their control of the satellites. The operations teams confirmed their fully-trained status and their readiness to manage the fleet now it has swelled to 26 satellites in total. Galileo satellites orbit in three orbital planes in medium Earth orbit, 23 222 km up. The result is that at least four Galileo satellites should be visible from any point on Earth — the minimum needed to achieve a position fix. Galileo Initial Services commenced on Dec. 15, 2016, with each new addition to the working constellation serving to enhance the stability and speed of the system. A further 12 Galileo satellites are currently in production by the same industrial consortium — with OHB manufacturing the satellite platforms and Surrey Satellite Technology Ltd the navigation payloads. The next Galileo launch is schedule for 2020, the same year that Full Operational Capability is set to start. ESA is entrusted with Galileo’s deployment, the design and development of the new generation of systems and the technical development of infrastructure. The definition, development and in-orbit validation phases were carried out by ESA, and co‑funded by ESA and the European Commission.